Product prices and availability are accurate as of 2019-04-18 19:01:37 UTC and are subject to change. Any price and availability information displayed on http://www.amazon.com/ at the time of purchase will apply to the purchase of this product. 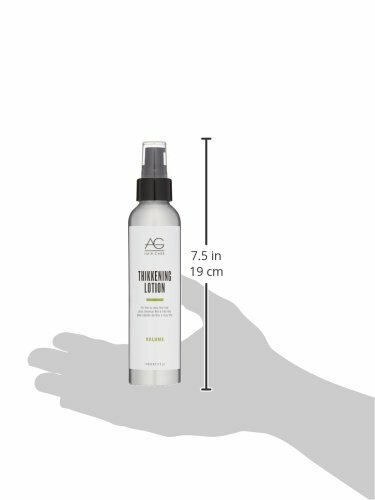 Thickening Lotion contains a high concentration of AG’s Regenerative Complex. Telecine Extract increases hair volume by forming a lightweight film around each individual strand. For optimal results, use with Root Thickening Serum to activate the hair growth cycle while plumping and lifting hair at the roots.